This week I’ve spent a wonderful day in Florence and I’ve visited the Gallery of Uffizi, the greatest and most amazing art collection of Renaissance paintings in the whole world! I had the pleasure of visiting the Uffizi Gallery in Florence for the first time with my father, when I was just a little girl of about 12, but the memory of this astonishing museum is still very vivid; as I remained literally impressed by the beauty of those splendid ancient paintings. Visiting it again after many years has been an equally impressive experience. It’s really true what the great art critic Philippe Daverio says; one should visit a museum more than once, possibly admiring one or maximum 2 masterpieces at a time. Actually, any time you are visiting a beautiful place, a museum, or any other interesting attraction, you should never be in a hurry, as many tourists do unfortunately, but you should try to take your time and fully enjoy your visit; one can’t see everything! The Gallery of Uffizi, located in the core of Florence, right next the Palazzo Vecchio in Piazza della Signoria, is housed in what once were the government offices and archives. For about 2 centuries, the Medici family, ruling Florence, collected a lot of works of art and paintings in the rooms of the Uffizi, always adding new art treasures to their private collection. The last member of the family, Anna Maria Luisa, not having sons, clearly stated in her will, that the collection should be left to the people of Florence and never leave the city. A great woman! She died in 1743, and then the gallery was open to the public. The Gallery of Uffizi hosts 45 rooms and really a lot of works of art; being impossible to visit them all in one day, I suggest you concentrate on just some rooms, maybe the first 15 rooms, hosting the Florentine Renaissance paintings. 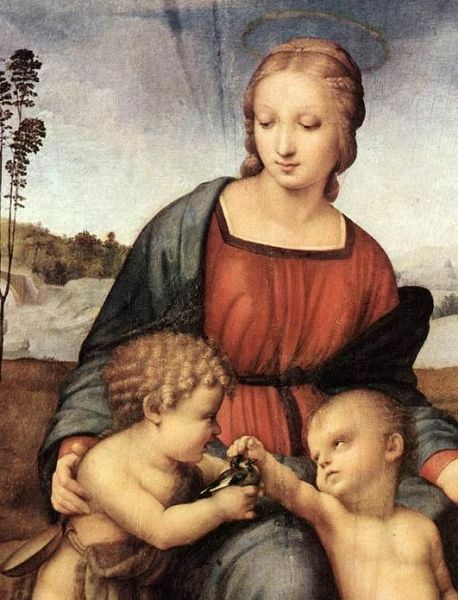 This famous art museum is literally full of priceless works of art, including stupendous treasures by Michelangelo, Giotto, Cimabue, Leonardo da Vinci, Botticelli, Piero della Francesca, Raffaello, and Caravaggio, just to mention a few. In Room 2, dedicated to the 13th century you can admire 3 Madonna con Bambino (Modanna with the Child) of the three great masters Duccio, Giotto, and Cimabue. In Rooms 10-14, you’ll find the beautiful La Primavera (spring) and La Nascita di Venere (Birth of Venus) by Botticelli. While awaiting to come to Florence, you may take a virtual tour of the Uffizi masterpieces thanks to the Google Art Project of the Uffizi Gallery; a great tool, try it!